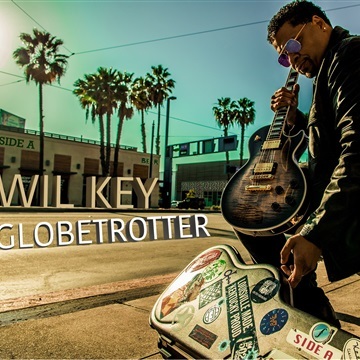 Globetrotter (Side A) is the fourth studio album by Los-Angeles based artists Wil Key. It is the culmination of songs written and recorded by the artist over the course of four years traveling abroad. Each song on Globetrotter was recorded in a different country and features an amazing line-up of talent including Laura Key, Ben "Black" Bush (Playa), L. Young (Stevie Wonder), Cecil Thomas, Jr. (Diana Ross), Darrell Crooks (Layla Hathaway, Ledisi), Gorden Campbell (Rahsaan Patterson), Raymond McKinley (Sheila E.), Ramona Dunlap (Pieces of a Dream), Jairus Mozee (Prince, BJ The Chicago Kid), Joel Numa (Christina Aguilera, Nelly Furtado) Empress K (Italian Idol), Sebastian Gosnell (Spain), Mario Guarini (Italy), Tony Austin (Kamasi Washington) and more. The project is the first part in a two-album series. Globetrotter (Side B) is set to be released sometime in 2019.